Adapting a popular novel is always a tricky undertaking for a film studio. They could stay close to the source and please the die-hard fans, of which there are many, or they can make changes that work better for a cinematic experience. 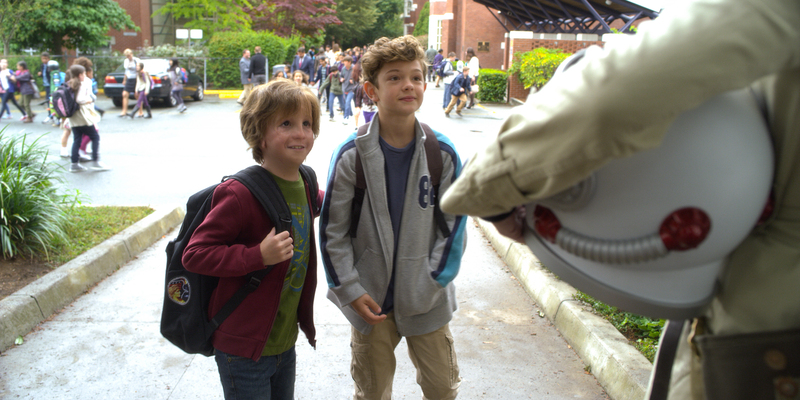 In the new film, Wonder, the creators have chosen the former and stayed very close to R.J. Palacio’s 2012 novel of the same name. Therefore, I can only imagine that fans of the book will be very happy with the adaptation. Unfortunately, as someone who was meh on the book, I had a lot of problems with it. 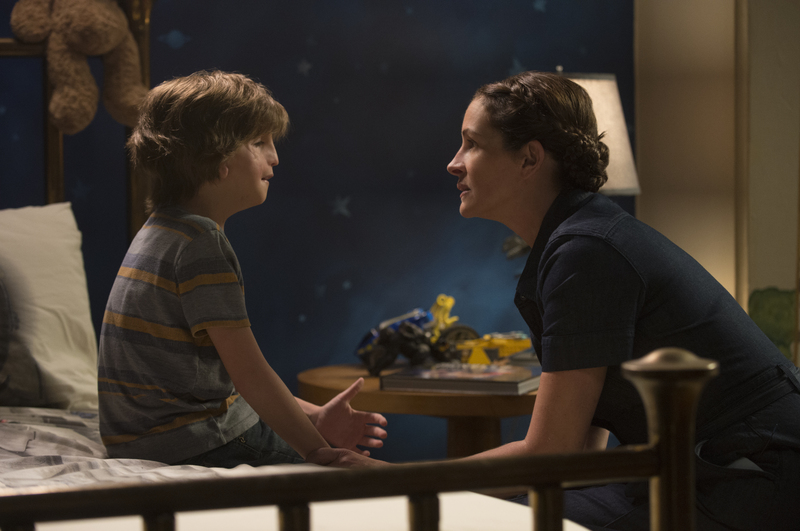 Wonder tells the story of Auggie (Jacob Tremblay), a little boy who has a facial deformity that makes it hard for him to fit in with other boys and girls his age. His parents, played by Julia Roberts and Owen Wilson, have finally decided to put him in public school. This is scary for the entire family, including Auggie’s long-suffering sister Via (Izabela Vidovic). 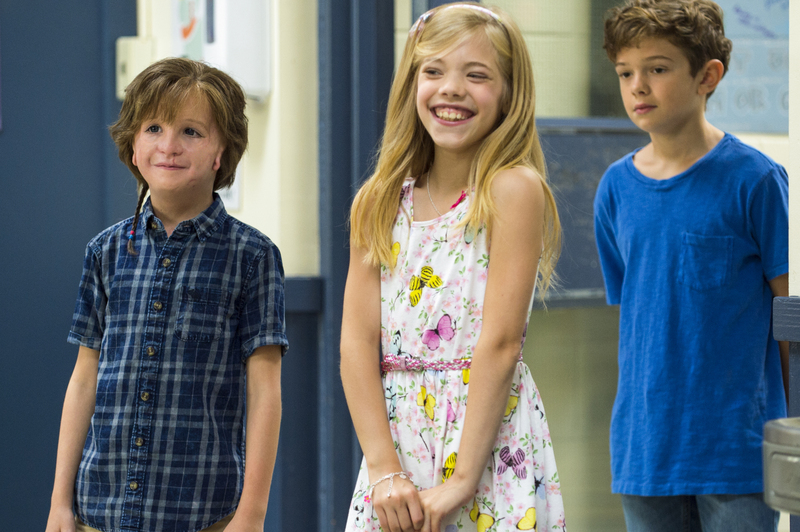 Just as in the book, the film alternates narrators, and we see perspectives of Auggie’s schoolmates and family as he experiences a year of school. All of these experiences have nice moments but, as a victim of childhood bullying myself, others rang false. Firstly, the film creators reduced Auggie’s deformity; he’s supposed to be so disfigured he barely has a functional face. If you look at the cover of the book, you can see that his eye is the only ‘normal’ part of his face. I had a hard time buying that kids would bully the adorable looking Tremblay. He’s also not that socially awkward either. He’s a little shy but nothing crazy. I think the pudgy girl or girl with an accent or something like that are far more likely to get picked on than Auggie for his mildly abnormal face. But let’s go with his face is so horrific that he is bullied, which isn’t shown to us in a compelling way either. This is going to sound unfeeling but I often wanted to tell Auggie to buck up a little more. He is extremely sensitive and expected to be treated with unreasonably soft kid gloves, rather than simply expecting to be treated like a normal kid. In fact, almost all the students and staff seemed to go out of their way to be nice to him. The school even has kids, including the bully, take time from summer break to give him a tour of the school. At the end of the year, he is given an award for courage, which I didn’t think was earned. Frankly, the kids who gave him the tour and were nice to him probably deserved it more. There is one point where Via says to Auggie, “not everything in the world is about you,” and this needed to be said much more frequently. In fact, I often felt like all of the characters were more interesting than Auggie, especially Via. Izabela Vidovic is excellent in the role and she’s a character that is constantly ignored in favor of her high-maintenance brother. 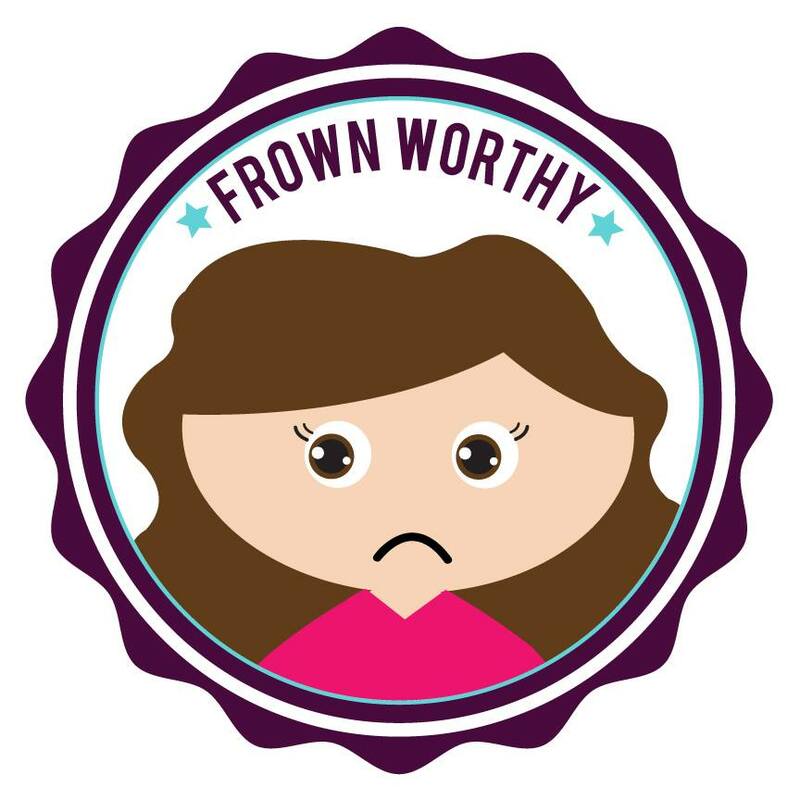 She plays this with the right amount of kindness and irritation. Her romance subplot is also really sweet. This is the risk a movie takes in having more than one narrator. It may expose the flaws of one narrator and leave the viewers preferring others. Like I said, I liked all of the characters more than Auggie and was disappointed whenever we went back to him. It’s not good in a movie like Wonder when the bullies’ parents are explaining their point of view and I, a former bully victim, actually agree with them. Auggie is never asked to see things from others’ points of view, or to try to help those around him. It’s all about how he is hurt from the slightest things and, if such a hurt occurs, those ‘guilty’ people need to be punished and removed. Shouldn’t he be taught to deal with difficult people or to turn enemies into friends? That takes real courage. I suppose there are some kids with facial deformities like Auggie who are as sensitive but it didn’t feel authentic or emotionally true. If he really was so fragile, it probably isn’t a wise time for him to be entering public education. Maybe even a private school would have been a better choice? 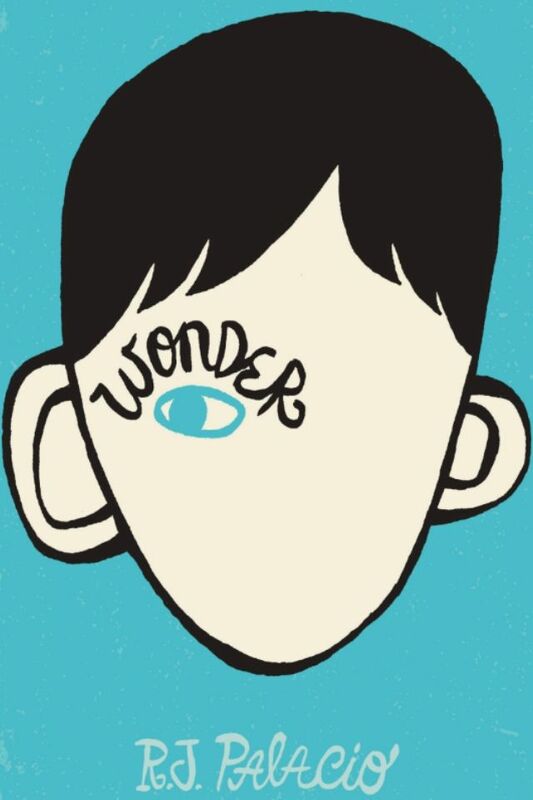 Nevertheless, if you like the book Wonder, then you probably will enjoy this movie. The acting is good, and it’s well-made by Stephen Chbosky, who also made one of my favorite movies, Perks of Being a Wallflower. Yet, in the end, the film was just too vanilla with a plucky kid that was more self-absorbed than wonderful. I don’t really have any interest in this film. This isn’t my kind of movie (or book for that matter), but I found your review excellent and authentic. I found your irritation with the “Oh poor little me” attitude is actually kind of refreshing since this is the kind of narrative that demands absolute sympathy towards our hero and it almost seems politically incorrect to point out his flaws. But, as someone who was also bullied in school, I agree that learning how to deal with unkindness in other people is just part of life and no one should be expected to get extra special treatment for any reason. The way you’ve described the situation, if this is a try reflection of the hero’s reality, I wouldn’t be surprised to find that he goes through life feeling like he deserves more than anyone else. Interesting. It sounds from your review that your issues are much more with the book/story than the actual movie. As a children’s librarian I can say that kids absolutely LOVE this book. I enjoyed the book but I will say that the changing point of views irked me. I was also really surprised to see the screenshots because his facial deformity is supposed to be way worse than that. I mean in fairness story is a big part of a movie but yes I’m meh on the book so those who love the book will probably love it. It’s well made but I just had issues. LOL. My nieces also love it so I get it. I agree on the multiple narratives being annoying and the face.